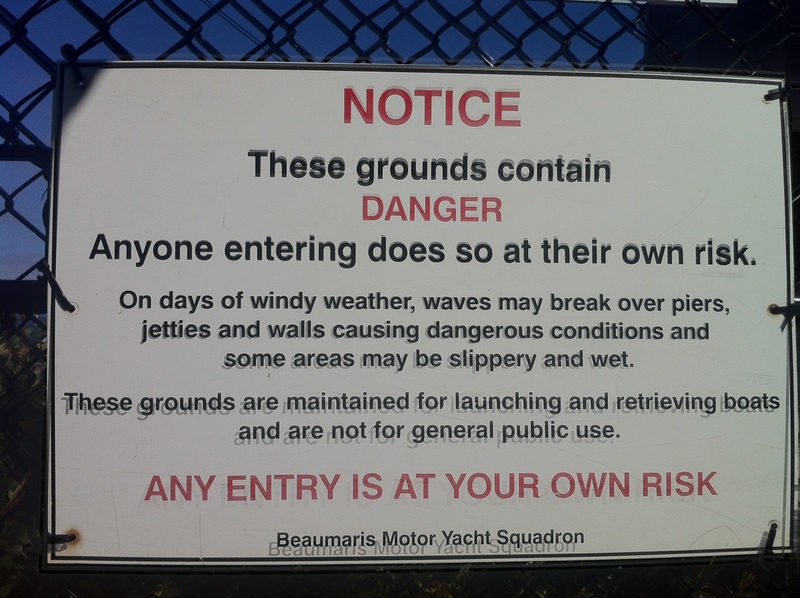 The sign above is on a lockable gate, which happens to be usually unlocked, across public foreshore land leased to Beaumaris Motor Yacht Squadron Ltd, that Schedule C, Clause 15.3, of its Crown lease requires to be accessible to the public, on foot, at all times. 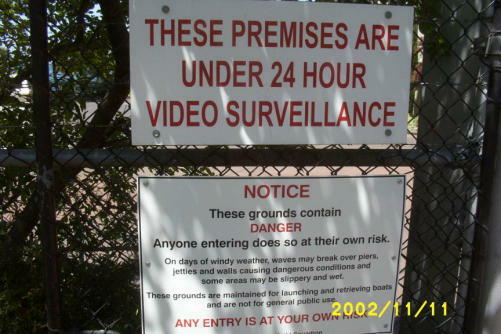 Why then is a gate allowed to exist there at all, as it could be locked at any time? 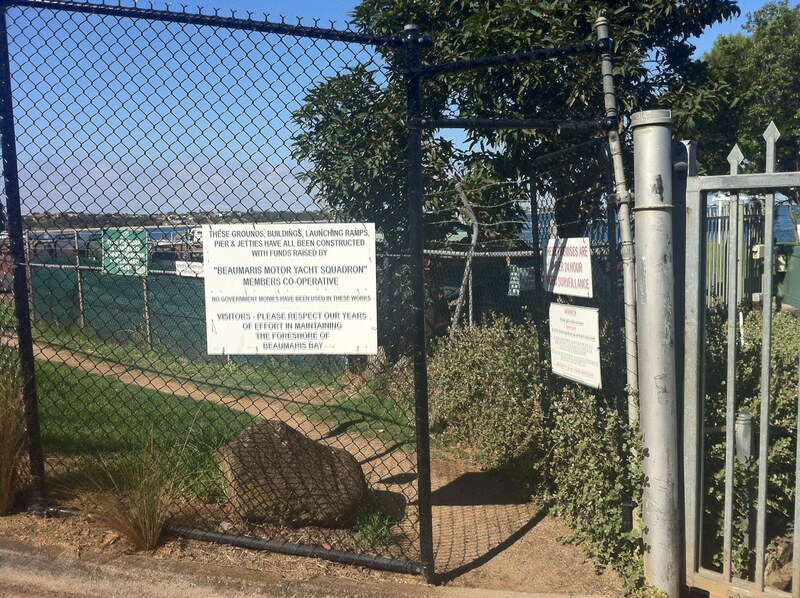 No sign clarifies the legal right of public access that is a condition of the lease, making it likely that some members of the public will be misled into thinking that they have no right to go through this needless gateway.